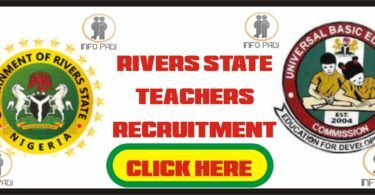 Rivers state 2018 recruitment is not for only teachers but also for non academic staffs/auxiliary staffs. If you have been following the post update and guidelines we have been providing since you ought to be aware that auxiliary staffs would also be recruited for the 2018 exercise. The Rivers State Ministry of Education is set to recruit 10,000 teachers and also they would be recruiting 4,000 non-teachers/auxiliary staffs. For auxiliary and non academic staffs – applicants must have obtained a minimum of O’level with not less than 5 credits in not more than 2 sittings. The rivjobs portal was created by the ICT department of the state to help job seekers in the state find it easier to get meaningful employment. They advertise available positions for all to apply. 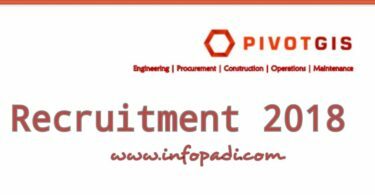 Please note that the recruitment for the 10000 teachers and 4000 non-academic staffs has not commenced fully as approval is still being expected from the states governor, however we encourage you to go ahead and register on the created portal and also upload your CV so that you can be among the first set of persons to get the job proper. If there is any aspect of this update that you do not understand, kindly leave us a message and we will try our best to help make the processes involved easier for you . We also encourage you to share this post with everyone, so as no one miss out on the opportunity. I have applied since two weeks ago but haven’t received any email or message. Thank you Rivers state government for uplifting the younger generation.Governor Wike thank you in advance this is pure Democracy.